It’s the middle of December. It’s cold and gross out. But you probably don’t care about that. What you probably care about is the newest Star Wars film, which is almost here. You’re probably already getting your costumes and your lightsabers together and gearing up for a midnight show tonight. But if you have some free time, either at home or at work, I wanted to take a break from my winter-themed columns to give you Star Wars fans some recommendations for viewing. I know you’ve probably re-watched the original trilogy (and maybe even the prequels), but have you seen these? Movie poster for the 8-minute short film. 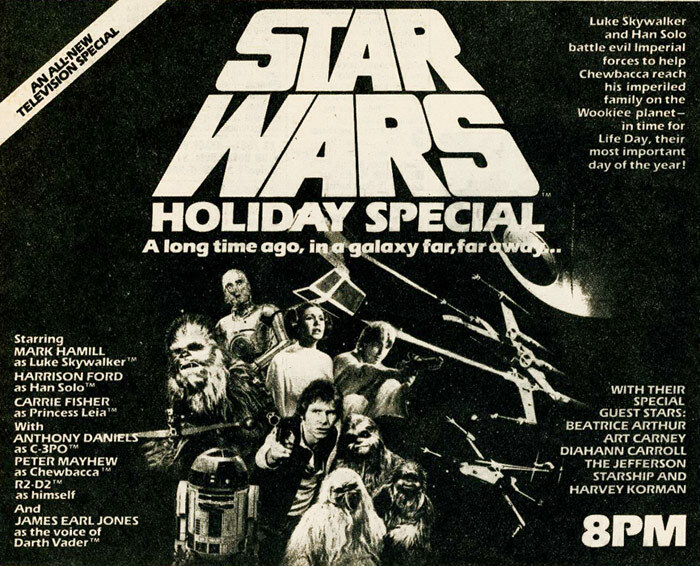 On the heels of Episode 1, this fan-made film by Joe Nussbaum was released online towards the end of that year. 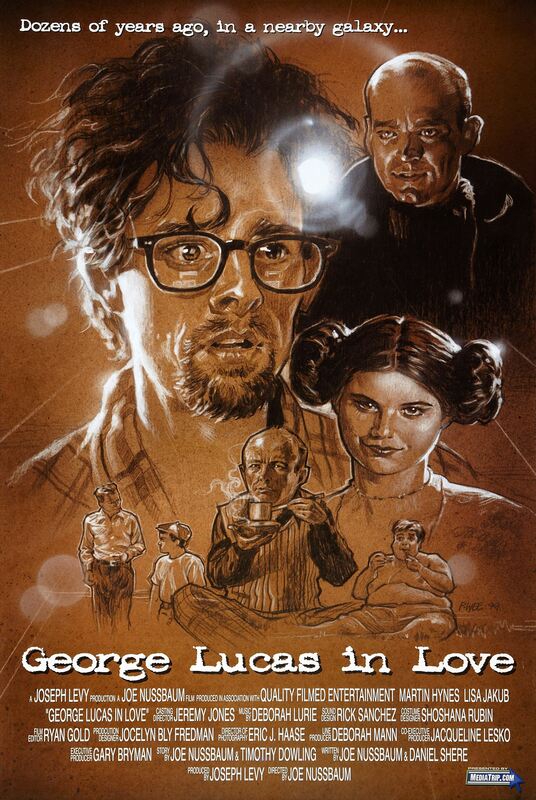 With Star Wars enthusiasm still blasting the media, this mash-up of Shakespeare in Love and George Lucas’s creativity hit just the right spark. You can watch it on Vimeo. At the height of the fascination with Fox’s TV show Cops, Kevin Rubio directed this fan-made film, letting us into the lives of some Stormtroopers stationed on Tatooine. It’s fully tongue-in-cheek, but gives a little pathos to the daily grind of life as faceless minions set up to keep order. If you like your cartoons, then this one is for you; a lot of world-renowned voice-over actors take on the screenplay. This is from the Emerald City Comic Con in 2012, but similar read-throughs have been done at other conventions. Warning: you might not ever hear these characters the same again. But if you want to know what Darth Vader would sound like if played by Blossom from The Powerpuff Girls, this is for you. There is some NSFW language. 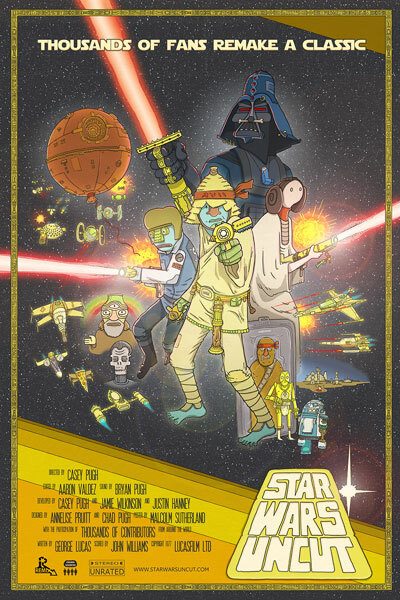 Star Wars Uncut even got its own poster. Take a rabid fan base, let them choose the scenes they want to recreate, and then splice them all together. The first one was so popular they just did a version of Empire. There’s a lot of low tech, but also a lot of heart here. Watch out—these are pretty long, but glorious in how awful and loving the scenes are. You should really spend the time to check both of them out. Yes, it was actually broadcast. Enjoy The Force Awakens, and may the Force be with you.